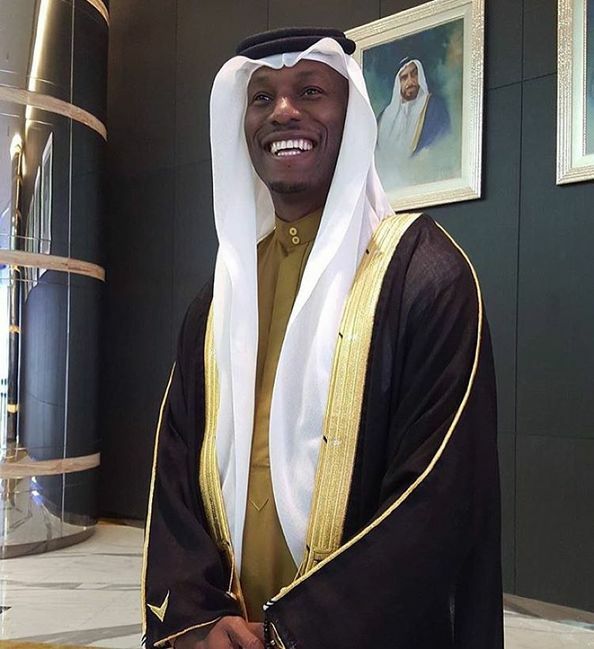 Which Celeb Wore The UAE National Dress The Best? Dubai seems to have a certain allure with a lot of the celebrity crowd, and over recent years we’ve seen some of the world’s most famous people grace our shores. While most of them seem to fall in love with the city, there’s some take it that one step further, adopting the national dress. Whether it’s donning the traditional abaya, burqa or dishdasha, these celebrities have full-heartedly taken on the UAE culture, but who wore it best? The Pacman rocked up last year on his first trip to Dubai to see his Filipino basketball team the Mahindra Enforcers compete in the Philippine Cup. It seems Pacquiao got into the UAE culture, and nabbed himself a kandura for a lunch at the Hyatt Regency. The Doggfather himself rocked up to his Yas Island concert in 2011 fully dish-dashed. Reckon he pulled it off? You decide. 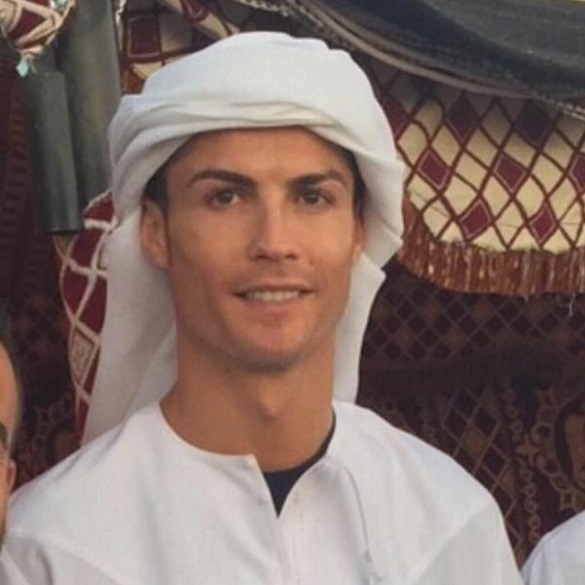 Portuguese football player and heartthrob Cristiano Ronaldo got into the UAE spirit during his festive trip in December 2014. 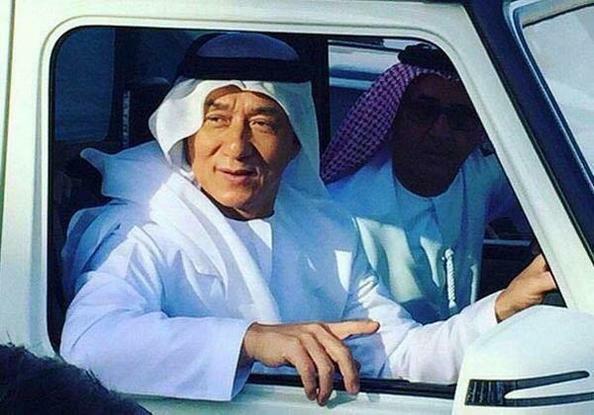 The Chan-man himself decided to wear a dishdasha when filming for his upcoming film Kung Fu Yoga. Mister Money Mayweather blew through Dhs3.6 million during his most recent shopping trip to Dubai. 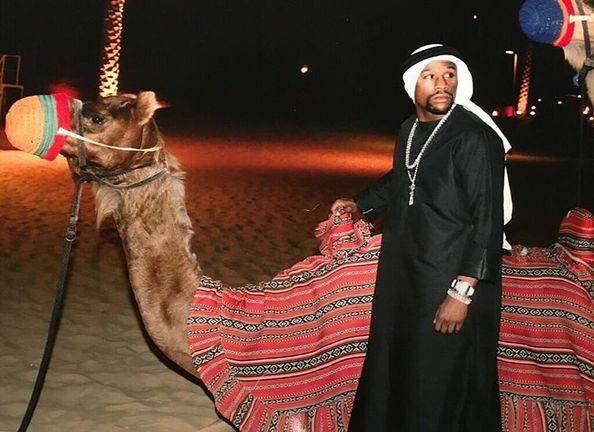 However, it seems the boxing superstar still made space in his trolley to buy himself a kandura… and potentially a camel. The former NDubz star and UK X-Factor judge came down to Dubai for a business trip to meet with a string of music executives as she plans her industry comeback. Kendall Jenner and Gigi Hadid were spotted in hijabs on a trip to the Sheikh Zayed Grand Mosque in Abu Dhabi. Khloe Kardashian is known for being pretty outspoken, and received a fair bit of backlash for posting a photo of her in a niqab with the caption ‘Habibi Love’. 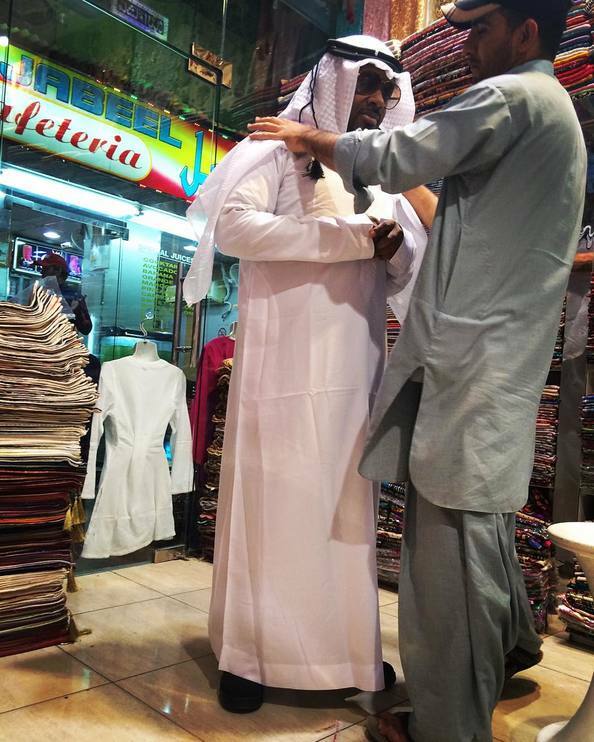 ‘When in AE’ read the caption to rapper Dupri’s post in which he could be seen getting fitted up for a kandura. 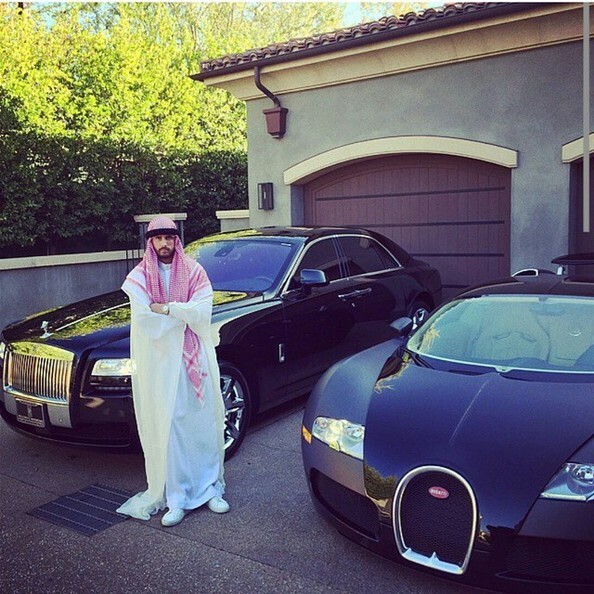 Ex-squeeze of Kourtney Kardashian, Scott Disick can be seen here sporting a (rather oversized) kandura as he poses between a Rolls and a Bugatti. Clicking ‘comments’ will open results in a new tab. Who wore national dress the best?